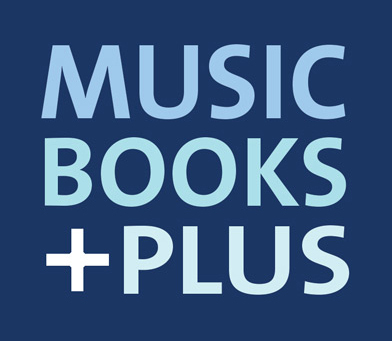 Music Books Plus - The Audio Expert - Everything You Need to Know About Audio, 2nd Ed. The Audio Expert - Everything You Need to Know About Audio, 2nd Ed. The Audio Expert is a comprehensive reference book covering all aspects of audio, with both practical and theoretical explanations. It is written for people who want to understand audio at the deepest, most technical level, but without needing an engineering degree. The Audio Expert explains how audio really works in much more depth than usual, using common sense plain-English explanations and mechanical analogies, with minimal math. It uses an easy to read conversational tone, and includes more than 400 figures and photos to augment the printed text. However, this book goes beyond merely explaining how audio works. It brings together the concepts of audio, aural perception, musical instrument physics, acoustics, and basic electronics, showing how they’re intimately related. It also describes in great detail many practices and techniques used by recording and mixing engineers, including video production and computers. This book is meant for intermediate to advanced recording engineers and audiophiles who want to become experts. There’s plenty for beginners too. One unique feature is explaining how audio devices such as equalizers, compressors, and A/D converters work internally, and how they’re spec’d and tested, rather than merely describing how to use them. There’s plenty of myth-busting and consumerism too. The book doesn’t tell readers what brand power amplifier to buy, but it explains in great detail what defines a good amplifier so people can choose a first-rate model wisely without over-paying. Most explanations throughout the book are platform-agnostic, applying equally to Windows and Mac computers, and to most software and hardware. Many audio and video examples are included to enhance the written text. The new edition offers many updates and improvements throughout. New sections on coding an equalizer, comparing microphone preamps, testing results of loudspeaker isolation devices, new online video content on music theory, plus incorporated chapters on MIDI basics, computers, video production, plus new myth-busters, and much more! Part 1 Audio Defined - Chapter 1: Audio Basics;Chapter 2: Audio Fidelity, Measurements, and Myths; Chapter 3: Hearing, Perception, and Artifact Audibility; Chapter 4: Gozintas and Gozoutas. Part 2 Analog and Digital Recording, Processing, and Methods - Chapter 5: Mixers, Buses, Routing, and Summing;Chapter 6: Recording Devices and Methods; Chapter 7: Mixing Devices and Methods; Chapter 8: Digital Audio Basics; Chapter 9: Dynamics Processors; Chapter 10: Frequency Processors; Chapter 11: Time Domain Processors;Chapter 12: Pitch and Time Manipulation Processors; Chapter 13: Other Audio Processors; Chapter 14: Synthesizers; Chapter 15: MIDI Basics. Part 3 Video Production - Chapter 16: Video Production. Part 4 Transducers - Chapter 17: Microphones and Pickups; Chapter 18: Loudspeakers and Earphones. Part 5 Room Acoustics, Treatment, and Monitoring - Chapter 19: Acoustic Basics;Chapter 20: Room Shapes, Modes, and Isolation; Chapter 21: Acoustic Treatment; Chapter 22: Room Measuring. Part 6 Electronics and Computers - Chapter 23: Basic Electronics in 60 Minutes;Chapter 24: Test Procedures; Chapter 25: Computers. Part 7 Musical Instruments - Chapter 26: Musical Instruments. Click the button below to add the The Audio Expert - Everything You Need to Know About Audio, 2nd Ed. to your wish list.